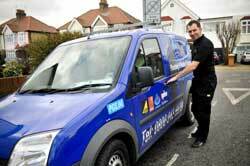 PGS Services have been successfully operating in London and surrounding areas for over 10 years. Over the years the business has developed significantly with lots of procedural and technological advancements but one thing that has remained constant is our determination to achieve the highest possible levels of customer service at all times. We focus on every area of our service from first contact with our office based team right through to completion of the work, and because we guarantee all our work we’re still here for you long after the job has been done. If further problems arise, related or otherwise - we’re never more than a phone call away. All our electrical engineers are smartly dressed in the official PGS uniform, they are friendly and highly qualified. We are strongly against any form of overcharging and as such strictly adhere to policies which ensure transparency and best practice at all times. We provide a full range of electrical services, charging based on a standard half hourly rate of labour and quoting for any larger works that might need doing. We are equipped to carry out electrical work outdoors as well as inside your property and additionally our electricians can respond to emergencies quickly and without additional charge. In addition to electrical work we also provide engineers for other trades including plumbers, gas engineers and handymen and this means that we can provide a comprehensive property maintenance package. When the work crosses over into another trade, as is often the case, we can efficiently and cost effectively pull in additional resources to provide you with a complete maintenance solution. Use PGS Electricians for a top quality service at a highly competitive price.